Location Located in quiet surroundings about 250m from the beach and about 300m from the village of Acharavi. Facilities The complex has a total of 13 units. 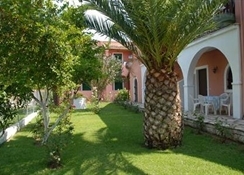 In the well kept garden there is a fresh water swimming pool with a sun terrace and playground for kids. The sunbeds and umbrellas at the pool are included. 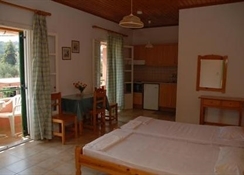 Rooms The studios are simply decorated and have a combined livingroom/bedroom with a kitchenette, refrigerator and bathroom with shower/toilet. They feature a balcony or terrace. 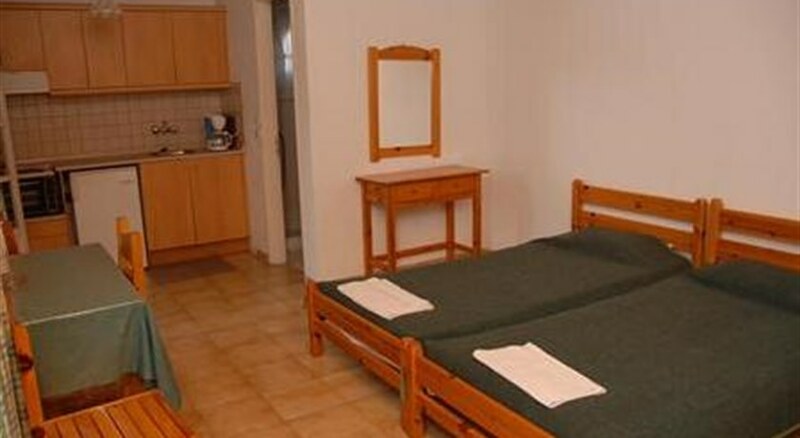 The apartments are similarly equipped to the studios with a sitting area, kitchenette and two separate bedrooms. Meals Self-catering. Payment Credit cards are not accepted.